Are you the type of person who dreads going to the dentist? Have you canceled more appointments than you’ve actually attended? Has a bad experience in the past prevented you from getting the dental care you need? If so, Dr. Elliott Novikov and the team at Cross City Dental want you to know that we can help. 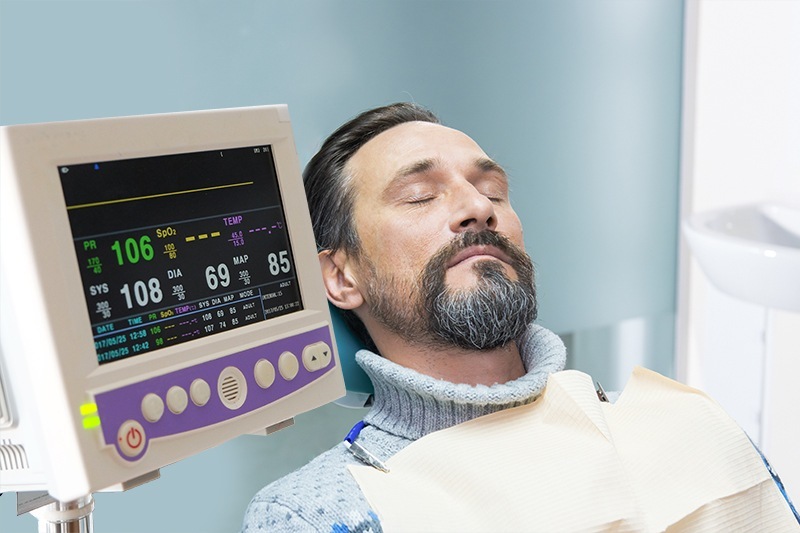 With IV sedation, even the most nervous patient can have a calm, cool, and relaxing dental experience. Dr. Novikov is fully-certified to use this treatment, so you can trust that he’ll be able to ensure both your comfort and safety during your appointment. On the day of your visit, you’ll be given a combination of powerful sedatives via a small injection in either your arm or hand. IV sedation is fast acting, so almost immediately you’ll feel very warm, relaxed, and drowsy. You’ll practically sleep through your entire appointment. One of the biggest advantages of IV sedation is that it allows Dr. Novikov to adjust your sedation level during your treatment to ensure you’re perfectly content the entire time. Of course, your safety is always our chief concern, so while you are under IV sedation, our team will keep a close eye on you to make sure that you’re perfectly OK.
After your appointment, you’ll feel like you’ve just woken up from a long nap. When using IV sedation, we require that a loved one drive you to and from the office the day of your appointment as well as keep an eye on you afterward. You should feel completely normal by the next morning. If fear and anxiety have prevented you from taking care of your teeth over the years, IV sedation can help you break down that barrier. It’s safe, effective, and you’ll be amazed at how it will help your dental appointments fly by. To learn more about IV sedation and how it could help at your next visit, please contact us today.